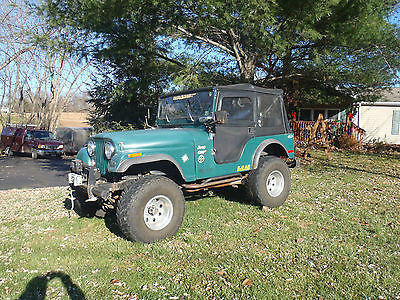 Up For a no reserve auction is my Jeep CJ 5 that I built in 2003. 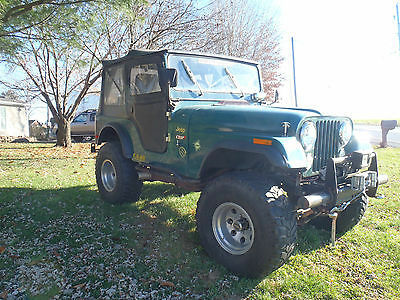 It is one of the nicest driving older cj's you'll ever drive. It's powered by a 360 engine approx. miles on entire build is 30,000. has an aluminum intake with a truck avenger 4 barrel carb. and headers. 3 spd. trans. locker in front and tera- low conversion kit in transfer case which cuts low range 3-1. Also has a new style steering box with a brace for control and a shackle reversal kit.It has 35 x 12.50 Mickey Thompson Baja claws on American Racing rims. Body is all Fiberglass with a one piece Fiberglass tilt front end. the color is a gel coat not ordinary paint. Also has a painless wiring kit which makes all the wiring newer also. Remember I built it in 2003. There are a couple scratches but they can probably be buffed out. Runs And drives very good. Top was also new in 2003 and is still in very good shape. 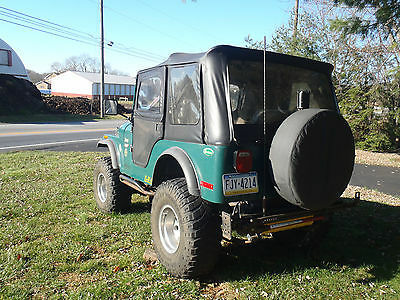 If your looking for a great Jeep don't let this one get away.